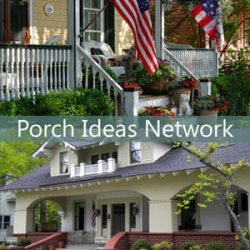 What if porch steps weren't taken for granted? 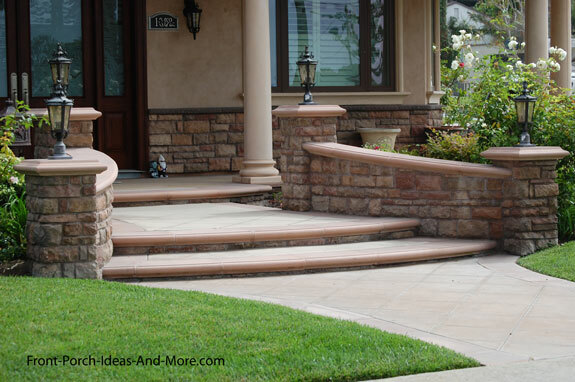 Most steps are built for function rather than beauty. But it doesn't have to be that way. 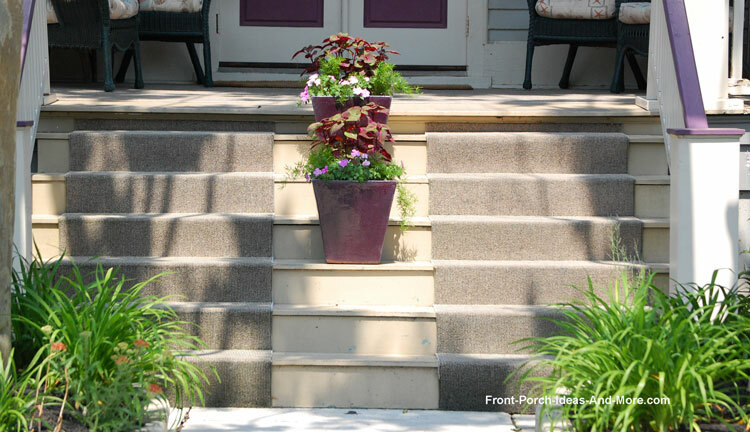 What if your steps were designed to complement your home and add both interest and curb appeal? 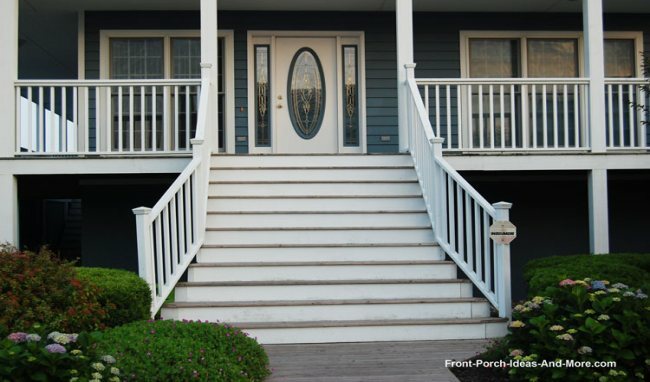 Porch stairs can be built to make a statement, to make a small porch appear larger, and make accessibility easier and visually appealing. 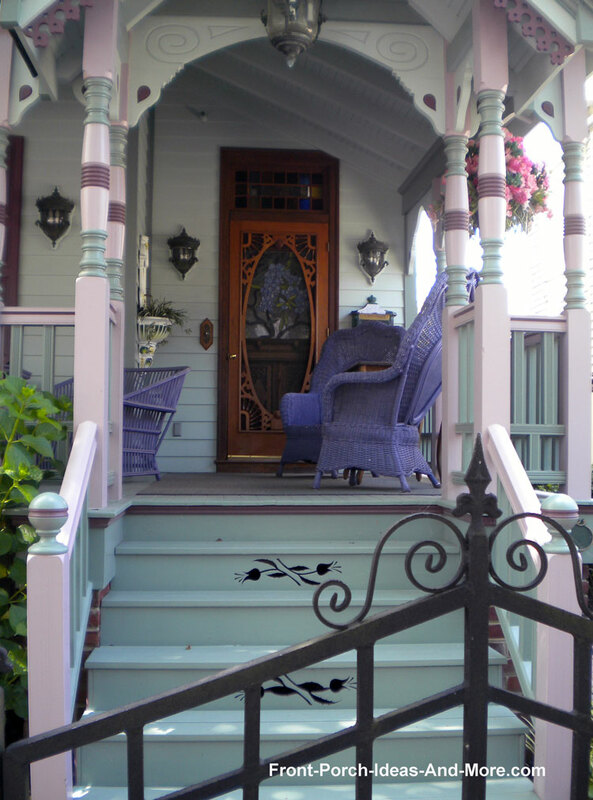 There is beauty in porch stairs. 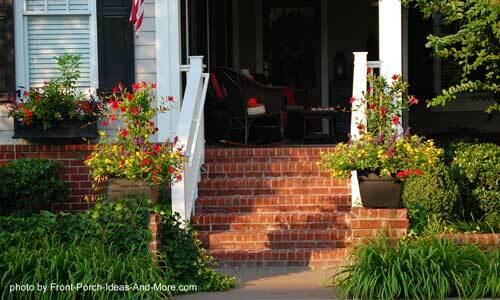 The steps above are painted to match the porch and the geraniums add a nice punch of color! 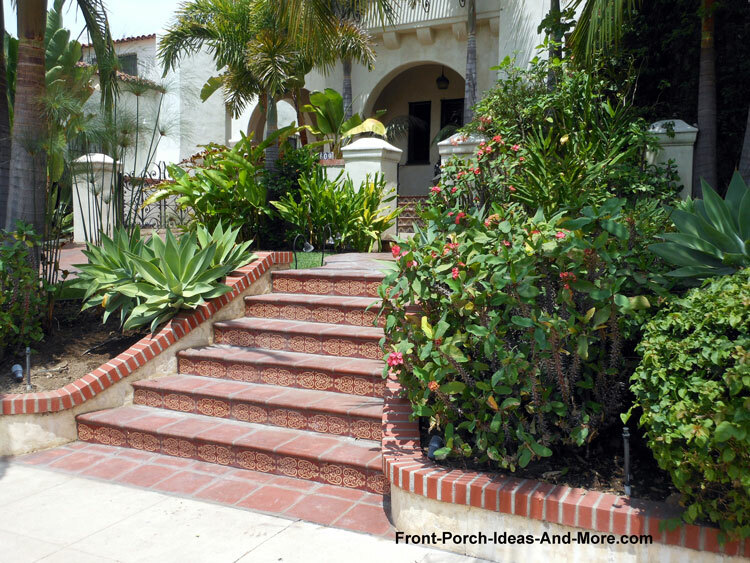 See how this small porch was transformed by a new sidewalk and curved steps! 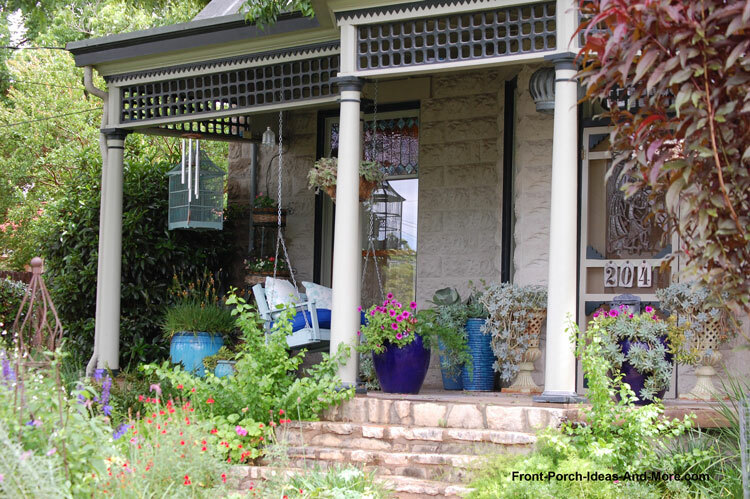 The addition of built in curved planters softens the look and adds a whole new dimension to the porch. 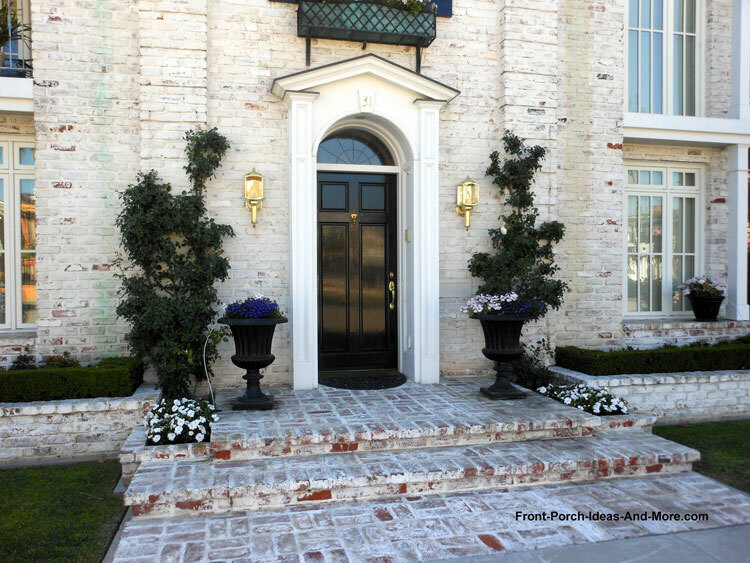 Steps don't have to be ordinary. 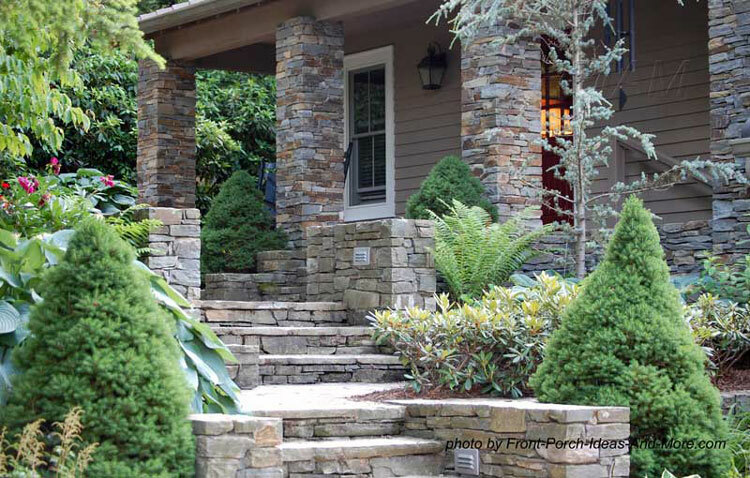 Natural materials like slate not only look beautiful but last almost indefinitely without maintenance. 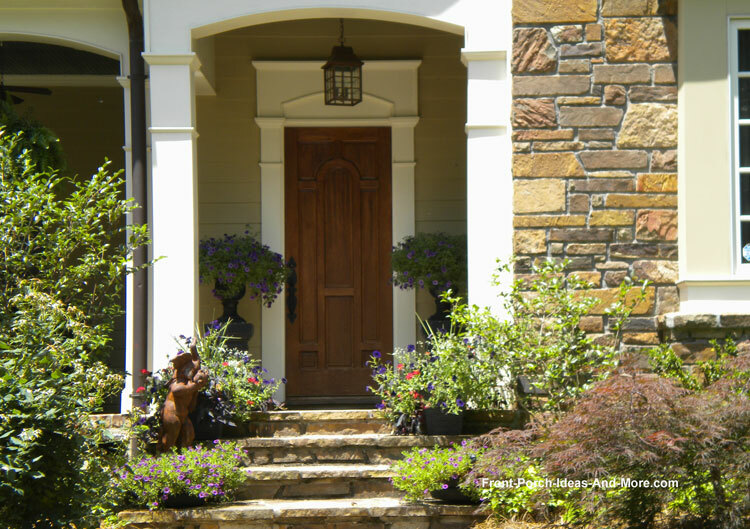 Slate is often made of clay and volcanic ash. 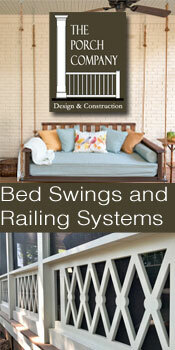 It can be split into sheets and is often used as roofing material. 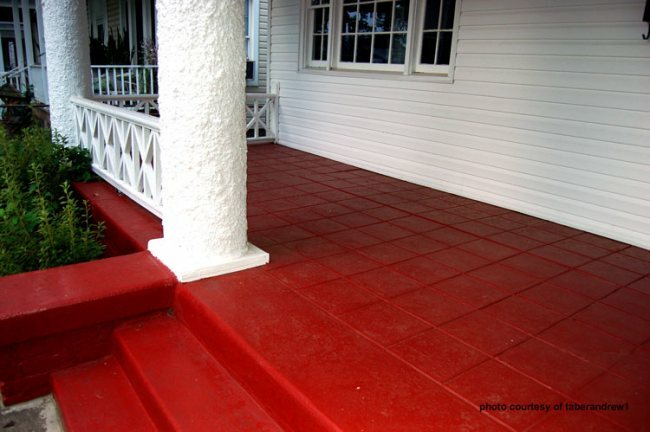 Because of its texture, it is slip resistant making it a very good step material too. 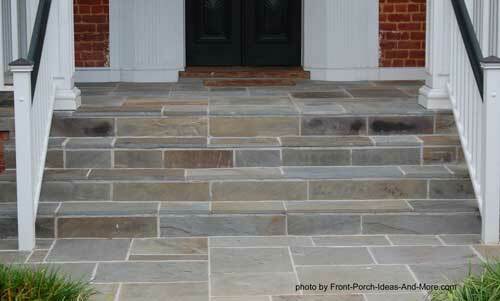 The varied colors of slate make interesting patterns which makes it very appealing for exterior use. 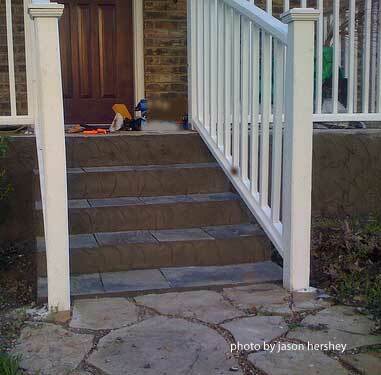 These steps were made from slate with stucco risers. 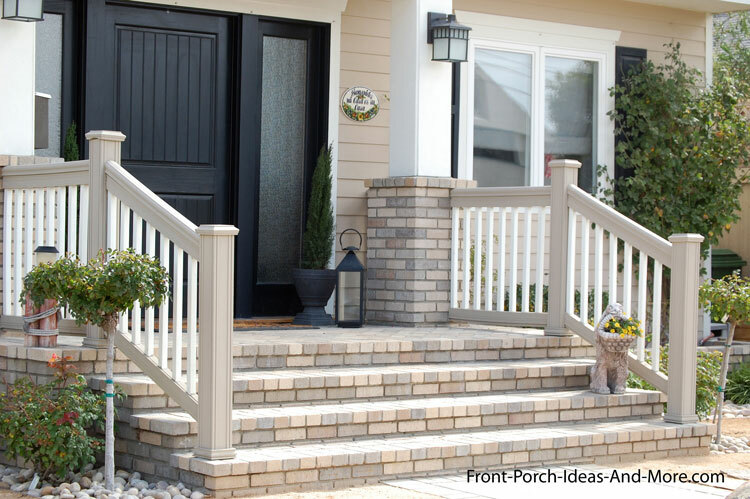 Concrete, a popular material for stairs, can be either be painted to match or complement your porch flooring. 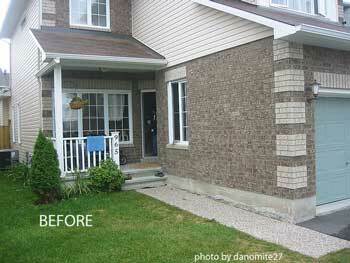 Painting is easy to do and is probably one of the least expensive options. 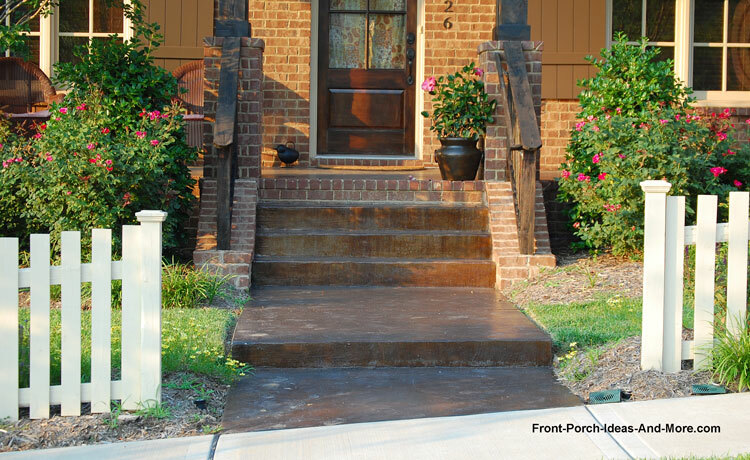 Because of its versatility, concrete can be stained, sprayed, or stamped. 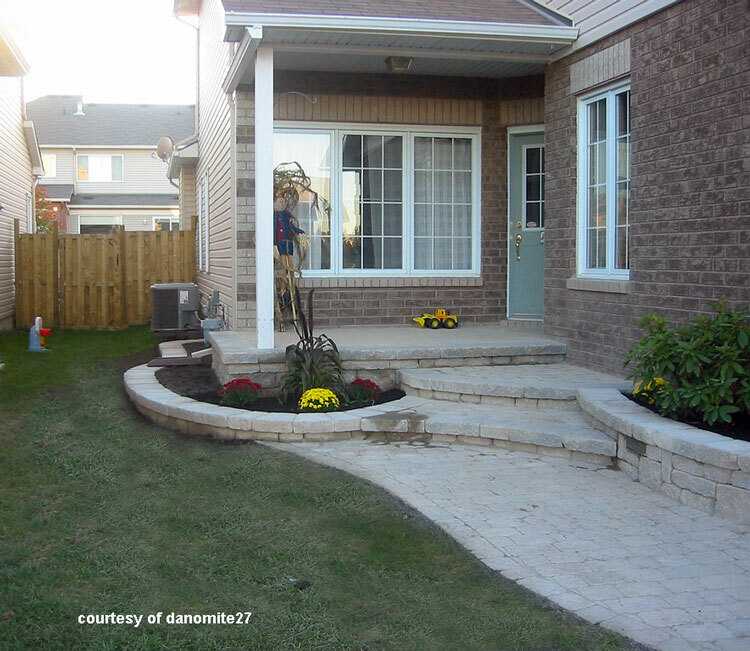 The stamped concrete steps shown below give the steps a luxurious look. 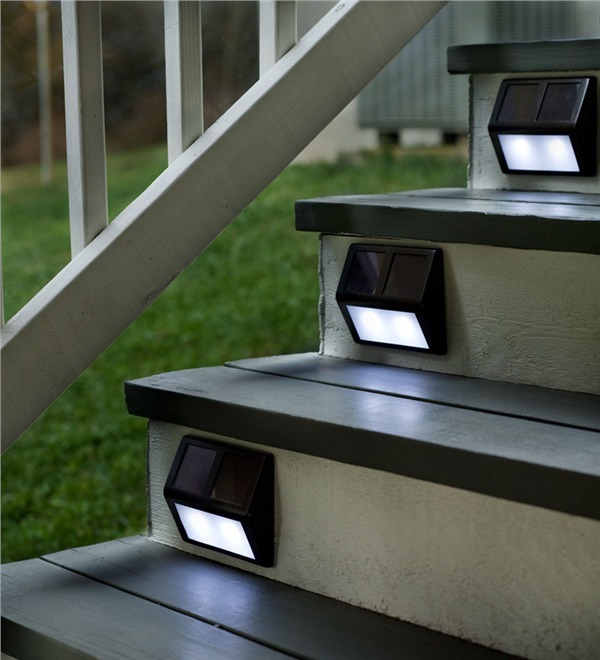 For your safety and a soft glow to your steps, we found these solar step lights for you. 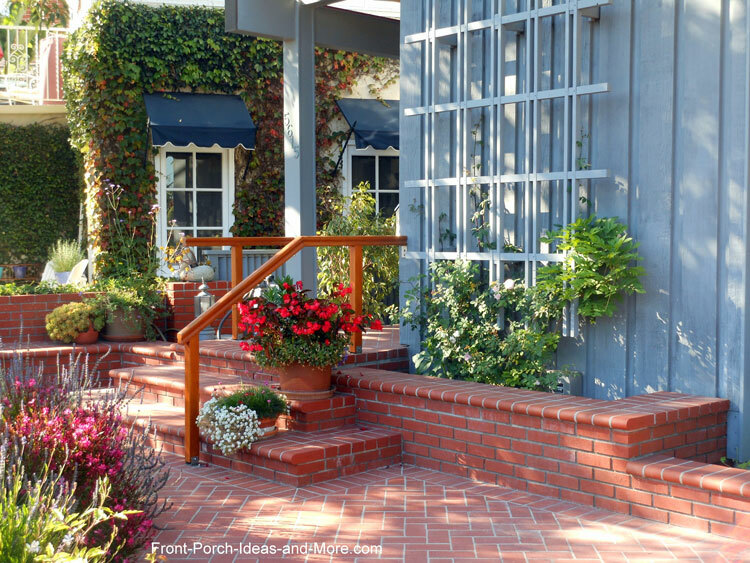 Integrate landscaping into your step design. 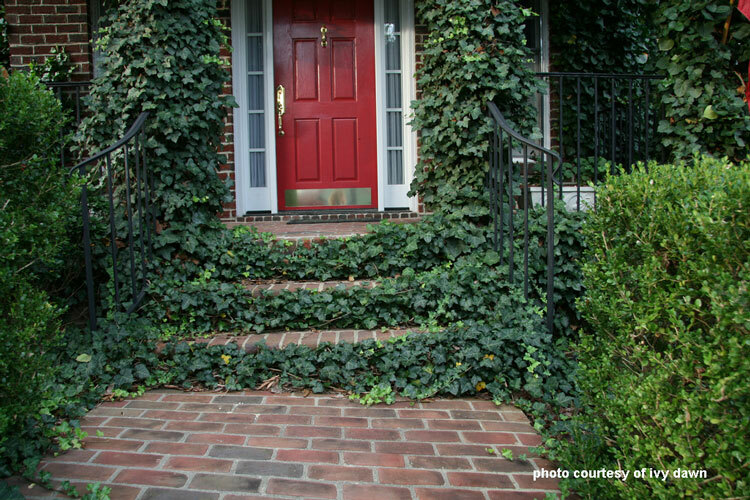 Although this needs to be maintained for safety reasons, the ivy adds a new dimension to a traditional otherwise staircase. 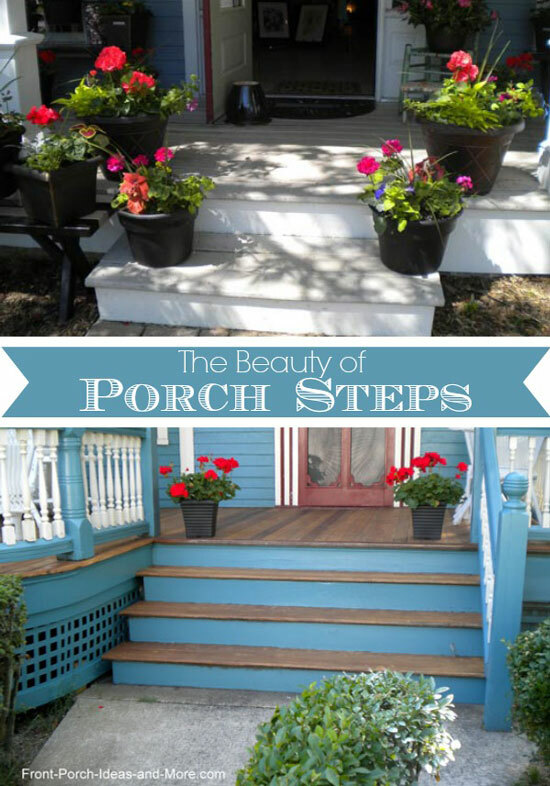 Dress Up Your Porch Stairs! 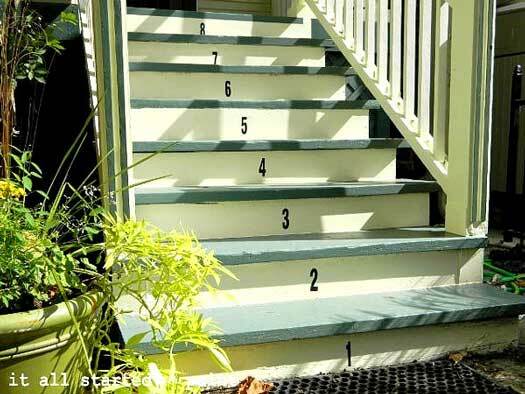 How about numbering your steps? 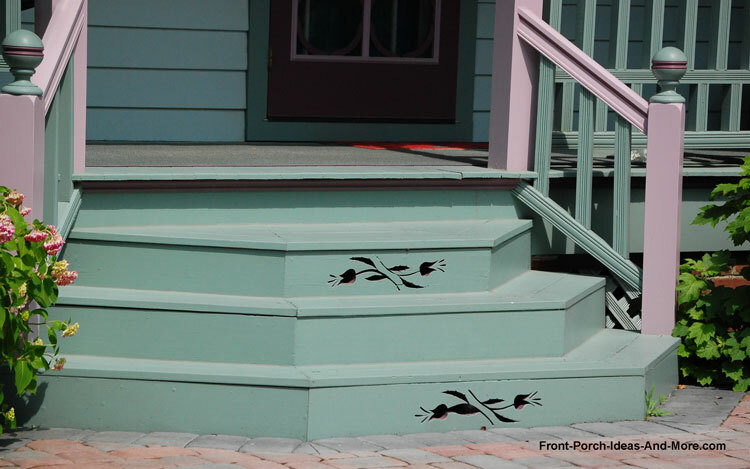 Linda painted her steps and then numbered them. 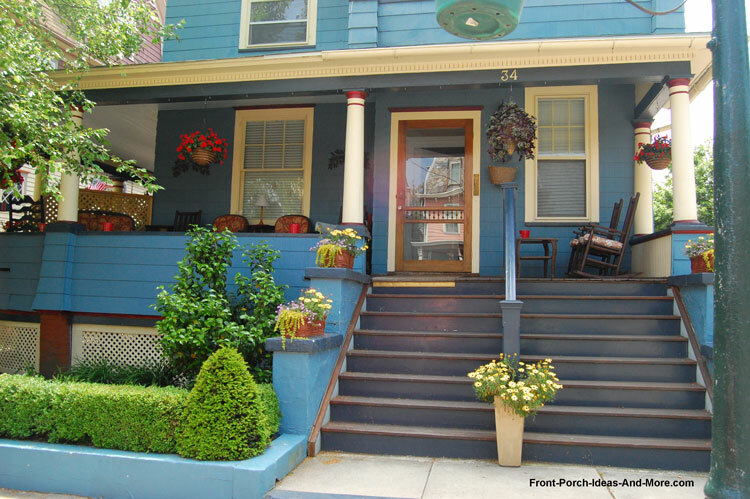 See how she used porch floor paint and numbers to jazz her front steps. 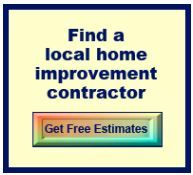 No need to be subtle. 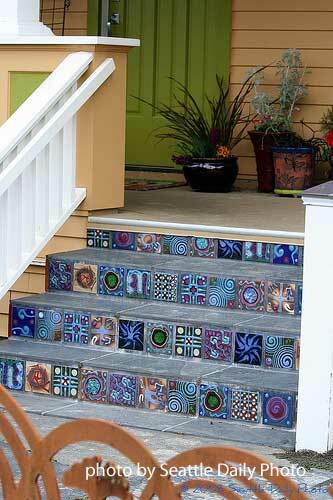 Mosaic designs create a wonderful appeal and add a focal point to your home. 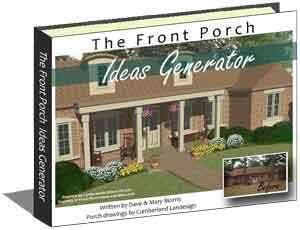 This is Mary's favorite! 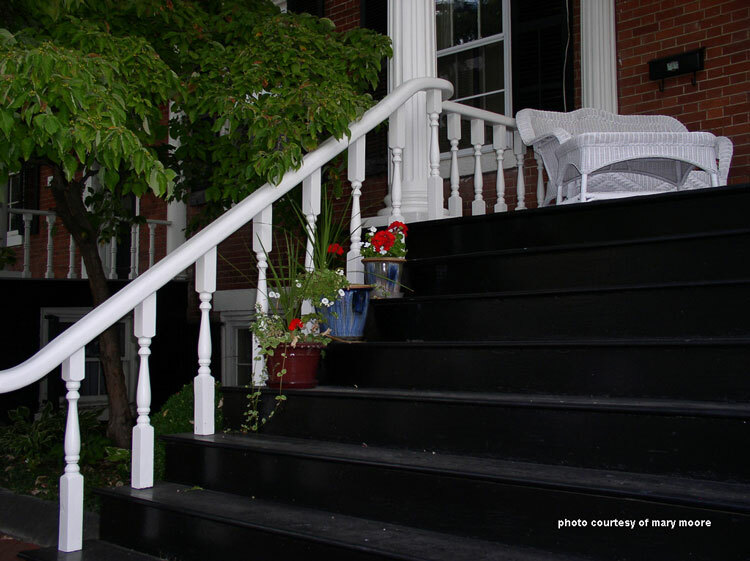 Steps can be painted or stained in colors to suit your own style and decor to add lots of curb appeal. 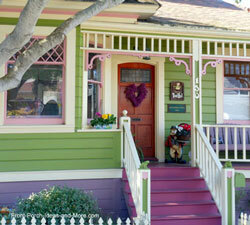 Whether they are made wood, concrete, or similar materials, paint can add a whole new dimension. 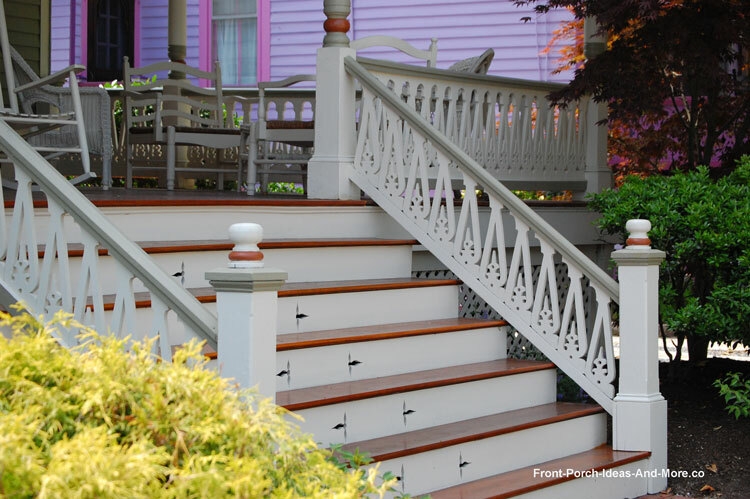 This striking set of wooden porch stairs adds a touch of elegance to the home. 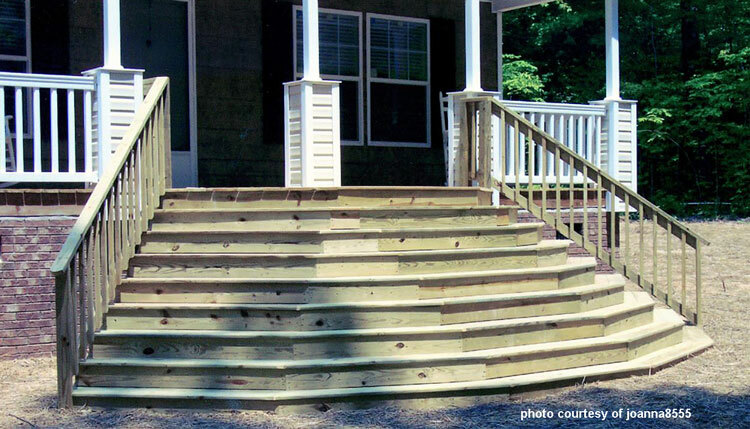 Wood steps give you options as well. 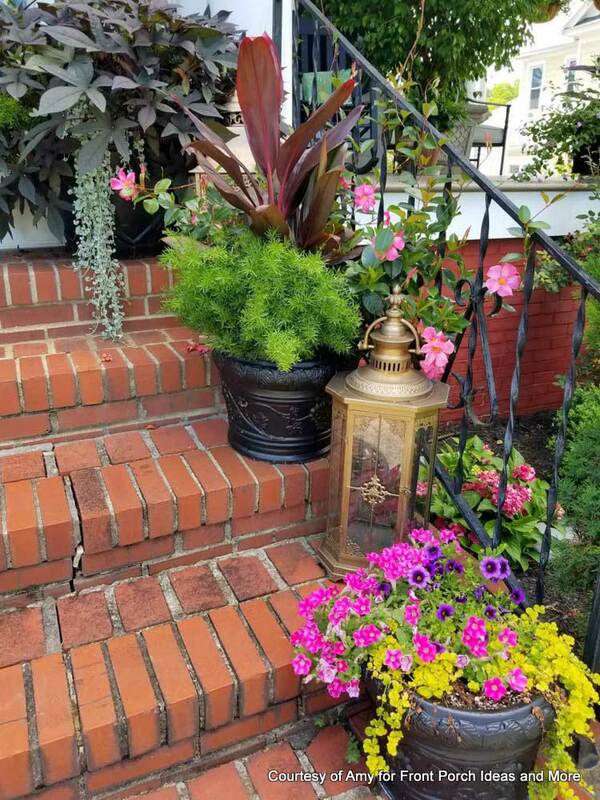 This staircase works well with the "unique" post and railing design. 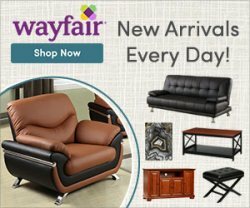 Imagine how different it would look if the risers were added. 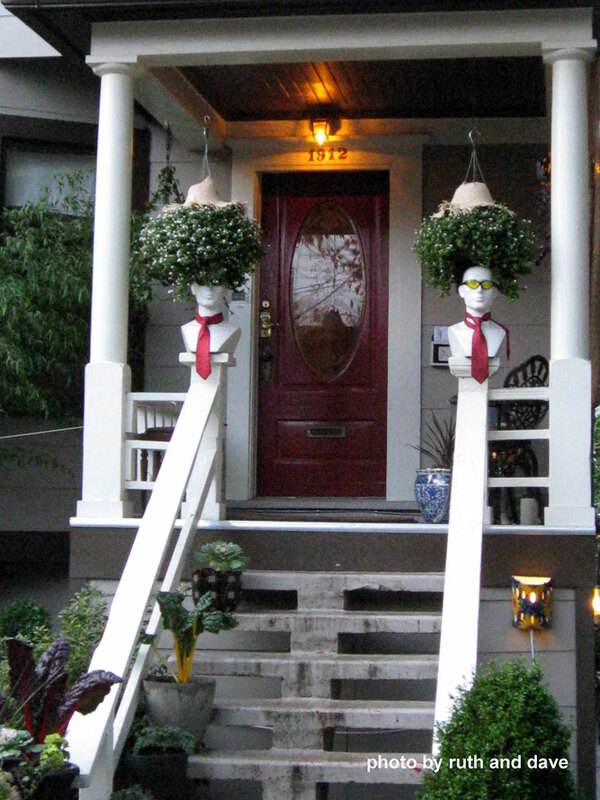 Make them as wide as possible. 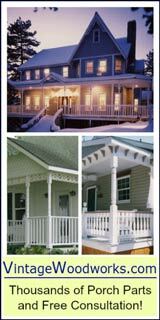 It will make a small porch seem larger, a large porch more grand, and will so often enhance the look of any home. 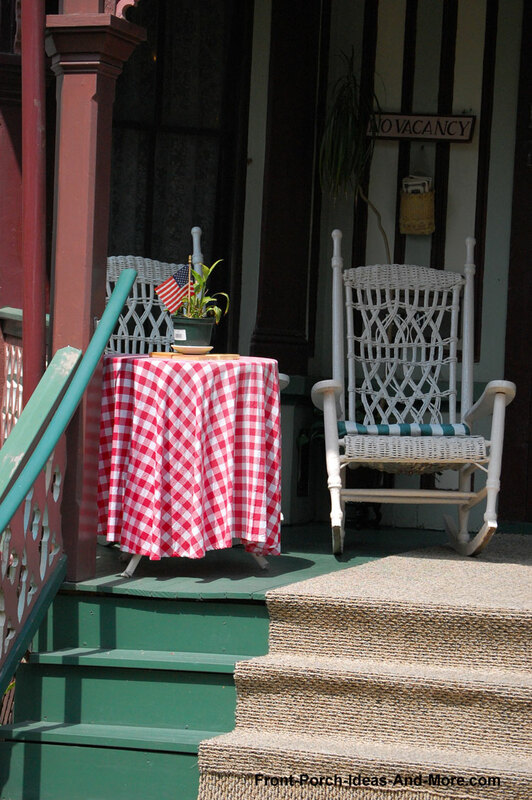 This porch would look quite differently with a standard straight staircase. 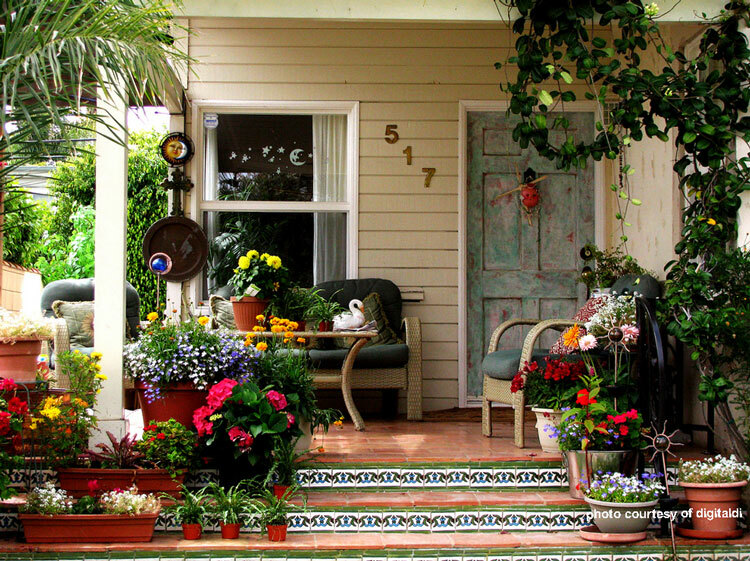 Outdoor carpeting may be another option you'd like to consider. 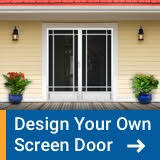 We recommend using a high quality outdoor carpet though. 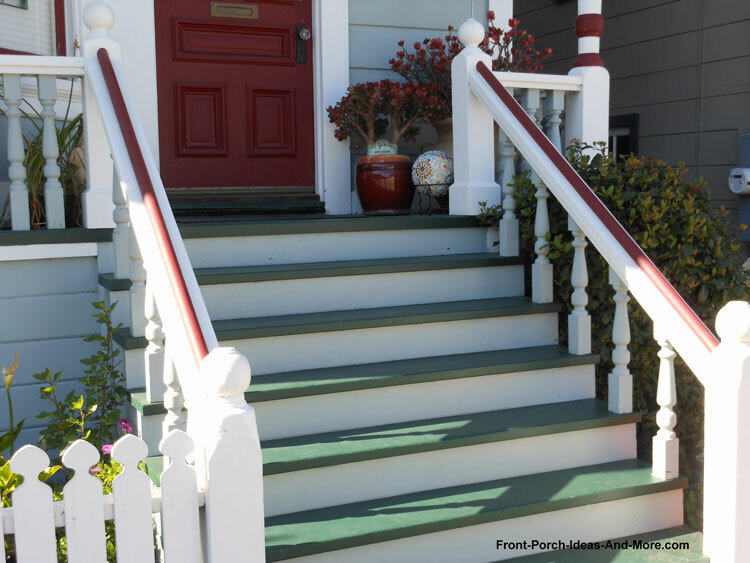 Choose the step material to match your home. 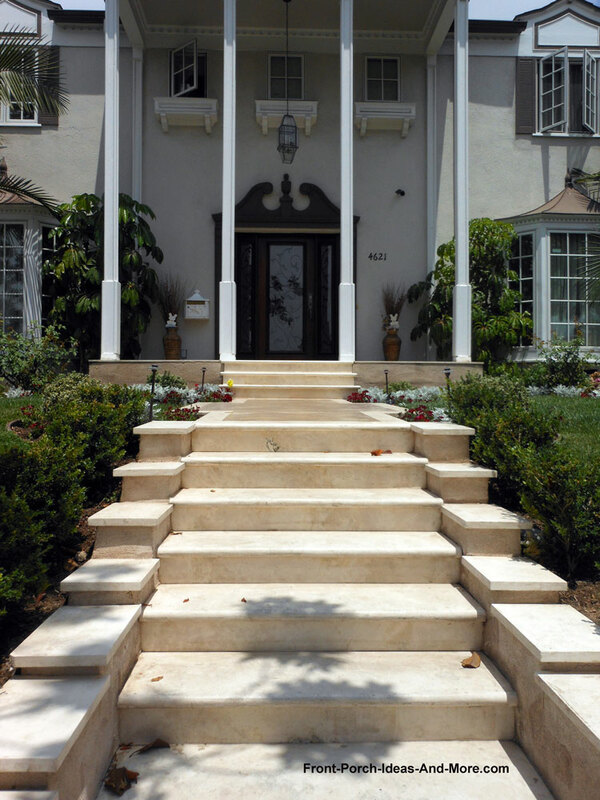 Many people opt for wooden steps due to costs, but if you can, consider other materials like concrete, stone, and slate. 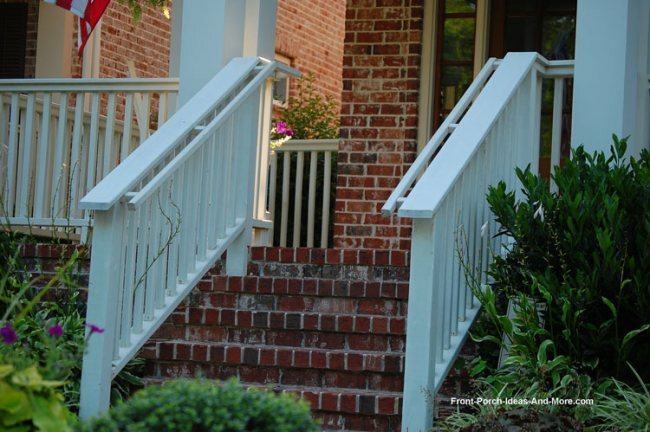 Your steps will probably require hand rails that will meet your local building codes. 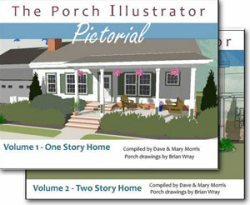 Mary and I recommend you start by finding the right design in case you have to modify your porch steps to accommodate the railings.